Anyone who has been blogging for a while will tell you there’s a lot of work that goes behind a blog post. It’s not just about writing what you think; there are also facts and figures to consider and then putting all those pieces together. Now, wouldn’t it be great if there’s a tool that can make the process easier? That’s why I am about to show you how to use the Evernote app for blogging productivity. Founded in 2008 (that’s almost 11 years ago), Evernote is designed to be a software that can manage and organize note-taking for the users. In the beginning, it was popular for personal use but gradually evolves into a multitasking tool that can be used for anyone who works online. When I first got to know about the app, I didn’t pay much attention to it. Needless to say, I wasn’t writing much at that point in time. As I became more committed to blogging, I knew I needed some extra help and that’s when I revisited Evernote. After the first week of using the app, I could clearly see how it’s going to change the way I build my content moving forward – in a positive way of course. As mentioned earlier, planning is necessary when it comes to writing a good quality article. Using the desktop version of Evernote, I discovered that the task can be systemically broken down into three stages. Assuming your goal is to publish 12 articles per month. That means you need to research for 12 long tail keywords as potential topics for your content. My favorite keyword tool does a great job on that and can even group them into specific lists, but that’s as far as it would go. When keywords are stored elsewhere and out of your view, they tend to be forgotten. On the other hand, by transferring those keywords into Evernote and creating a schedule for each topic, you may actually write more effectively. For example, I have created a notebook for each month and established a keyword list so I know what to write in the next few days. This practice saves me time and keeps things on track. You should do it too sometimes. Now that you have a ‘note’ for each keyword, it’s time to start curating the content. I called this content research and that means scouring the internet for various relevant articles, blogs, videos, infographics, PDFs, product reviews and images. The more complex the topic, the more resources you are going to get. That’s a good thing because more information can make content more valuable. However, if you don’t have a proper way to organize the information, things can be very haphazard and confusing. In the past, I used to just bookmark pages for reference and even with that, I tend to lose track of where and what. Luckily with the Web Clipper feature, you can now save information right from a webpage by clipping them to a specific note. You can do so using the right-click feature of the mouse to copy a text OR use the pop-up app window to clip a specific text or imagery. That way, you will always have a resource folder for reference when you work on your content later. What I also like about this clipping technique is the ability to take a snapshot and create annotations for diagrams to complement your content. 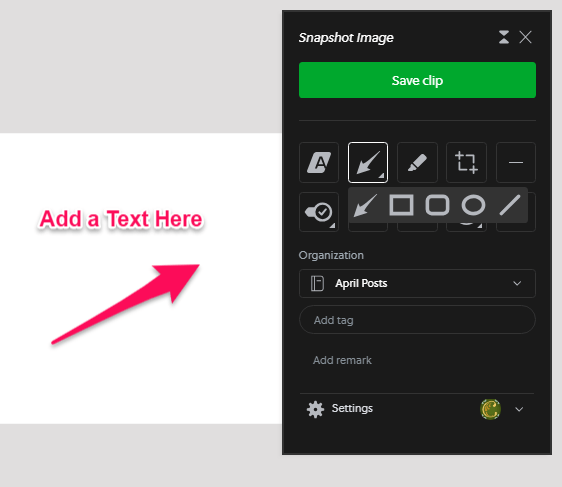 I used to use Monosnap for this purpose, but the application didn’t work properly on my PC so it’s great to find a new alternative within Evernote. With all the information in one place, there’s no need to open up too many browsers because most of the things can be easily accessed from the app’s dashboard. 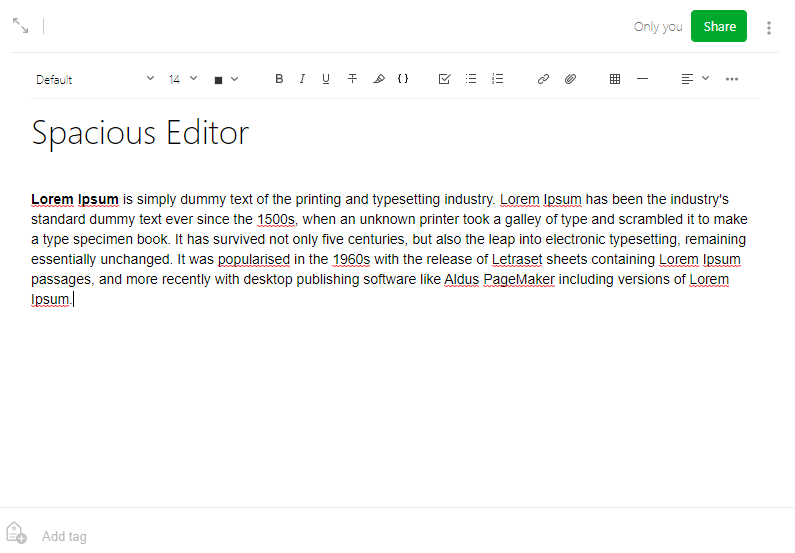 Plus, if you like distraction-free writing, you will appreciate the spacious editor as well. Minimal, but still delivers all the basic commands. Some of you might think, why can’t I just write from within my website editor? Well, you could, but just make sure that it has the ability to save while the writing is in progress. I use WordPress and found that it can be a bit tricky if you don’t click the ‘Save as Draft’ button and when the server is down, you can potentially lose a properly edited article. Therefore, having a quick auto-save feature like Evernote (or even Google Docs) is crucial to prevent wasting time. I don’t know about you, but I use my phone a lot to research for blogging ideas while I am stuck in traffic or trying to spend my lunchtime productively. Before Evernote, I was scribbling on paper notes and sharing links to my email. These methods are okay, but it gets messy after awhile. The good thing about this app is that I can record more information and organize them in a better manner while I am on the go. For example, I can take photos, record audios and also write digitally (things that aren’t usually done with PCs) as part of the note-taking process. It helps to keep ideas fresh and constantly make me look around my surrounding for blogging inspiration. Most importantly, it syncs with your desktop so that your notes are constantly up-to-date. The free plan enables syncing up to 2 devices and provides 60 MB of monthly storage space. If you want offline access, more storage space, and more technical support, you can upgrade to either the Premium or Business plans, both of which come with free trials. As for writing, I would still use the desktop version simply because there’s more room for my fingers to move around (and for my mind to think freely). To get started on either one of the versions, you just need to sign up with your Google account and you are good to go. 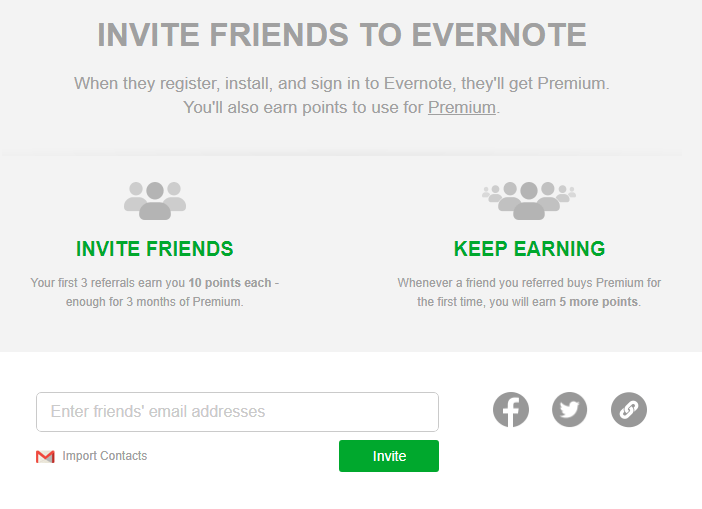 If you are addicted to using Evernote and feel like it could help your audience in their personal or online tasks, you could refer new users to the app and earn points (not commissions). When a certain threshold is met, these points will allow you to become a Premium user for free. Even though it’s not as rewarding as money, it’s still a positive incentive never the less and any type of niche blogger can leverage from this app conversion. Think this is another fancy name? Well, that’s the new platform that enables you to publish notes directly into a blog from the Evernote app. You can create a free blog that comes with a subdomain or if you want to use a custom domain, their simple hosting plans are $5 per month and $50 per year. Personally, the features are really basic. It’s okay for personal blogging, but if you are planning to monetize online or blog for business, you will need something with better SEO traction and improved website customization. For that purpose, I would still recommend using self-hosted WordPress due to its solid reputation. Honestly, the idea behind this app is nothing new. Taking online notes, creating a checklist and capturing images – there are many programs that can do these tasks. However, very few can do a good integration, streamline the process and keep things simple. 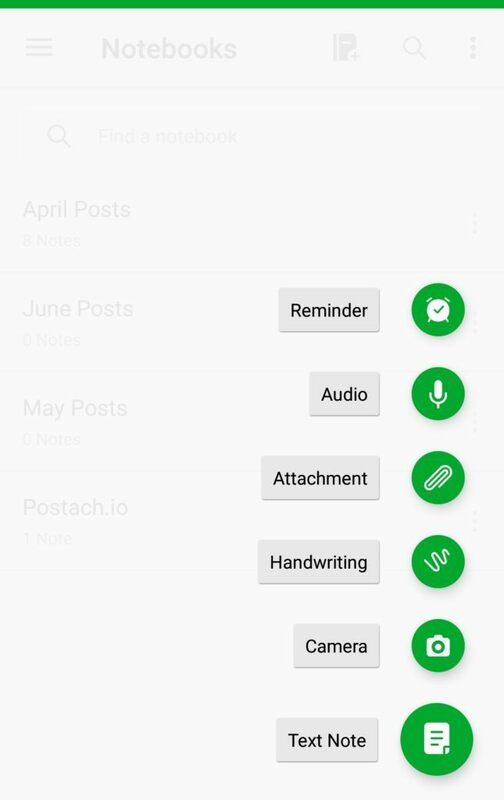 Evernote is so versatile that it even works for a blogger’s routine – for me, that’s impressive. As an innovative app company, I hope the team will continue to add better features in the future. Meanwhile, I could see myself using this tool from now on to amp up my blogging and hopefully after reading this, you would do the same too. By the way, if you’re looking for more ways to improve on your blogging skills or serious about creating an income from a blog, feel free to check out this robust training platform for more information. Have some comments/questions about this topic? Just leave them in the space below.